As I work today in my craft room moving various seasonal things in and out of storage I decided to take a break and put together this Easter card. Several of my crafting buddies and I took a road trip yesterday to the Des Moines area and picked up the carrot paper just to go with this stamp. 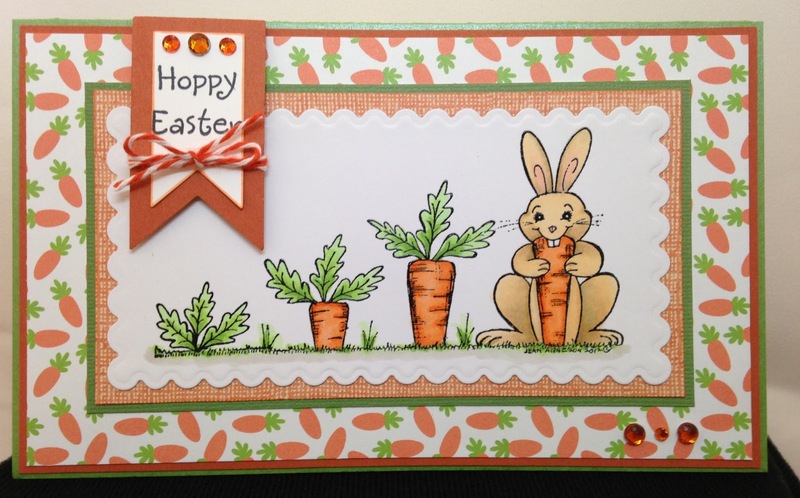 This image is a Northwoods Rubber Stamp - Carrot Tops and Bunny. It always makes me smile when I see this Bunny and only get to use the stamp such a small time during the Easter season. 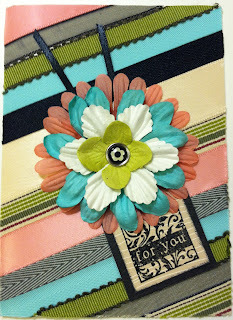 The card is very basic with simple construction of layering. I did use some scrap paper, but have listed the name of paper for carrot paper. Have a great week, we are slated for more snow here in the Midwest.